1. Easier and Faster way to order from online shop for the customers. 2. Fully responsive for any device. 3. Add to cart all the products in one single page. 4. 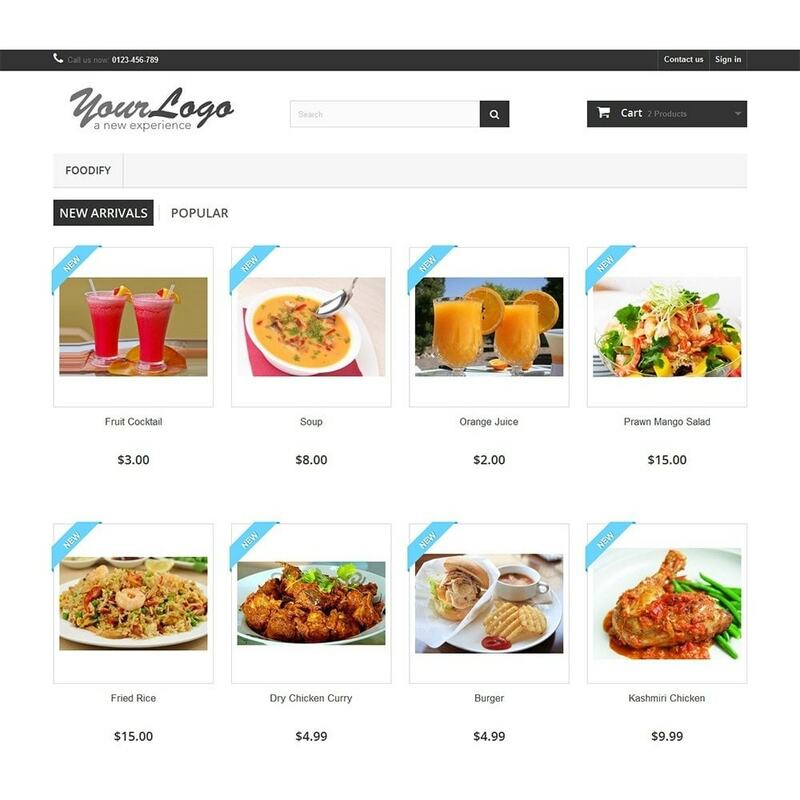 User can search the food item by category base. 5. Best plugin for wholesale buyers. 6. View the total currency in shopping basket at same page. 7. Show Name, Image, Price, Quantity and Description. 8. 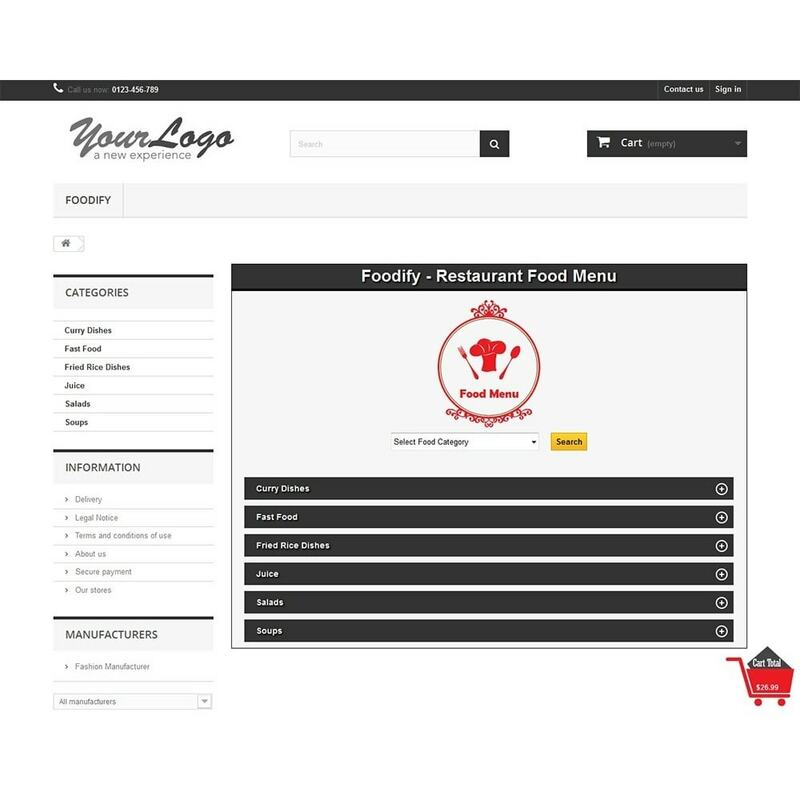 Automatically add the “Foodify” page in front office after installation. 9. Products image preview available. 10. 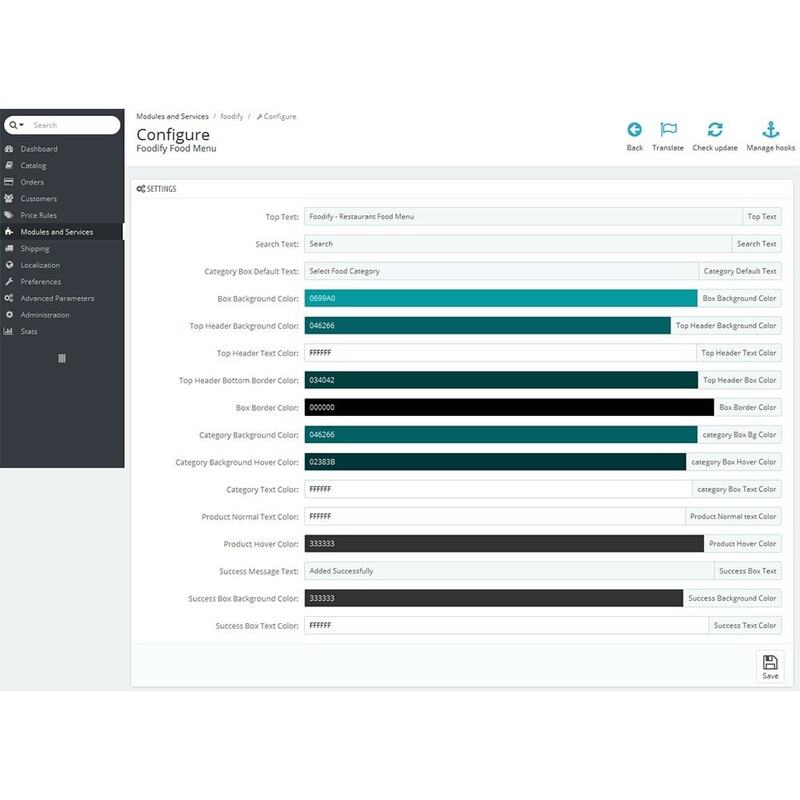 Frontend design panel is customizable. 11. Frontend panel’s Top text, Search text, Category box default text and Success message text are editable. 12. 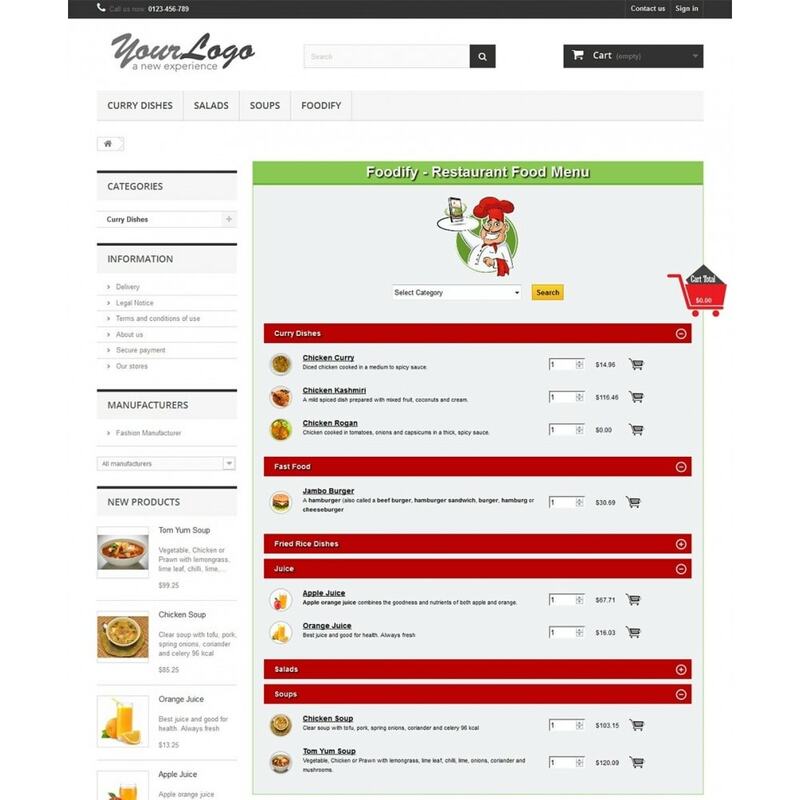 Shop owner can set Box background color, Top header background color, Top header text color, Top header bottom border color, Box border color, Category background color, Category background hover color, Category text color, Products normal text color and Products hover color. 4. 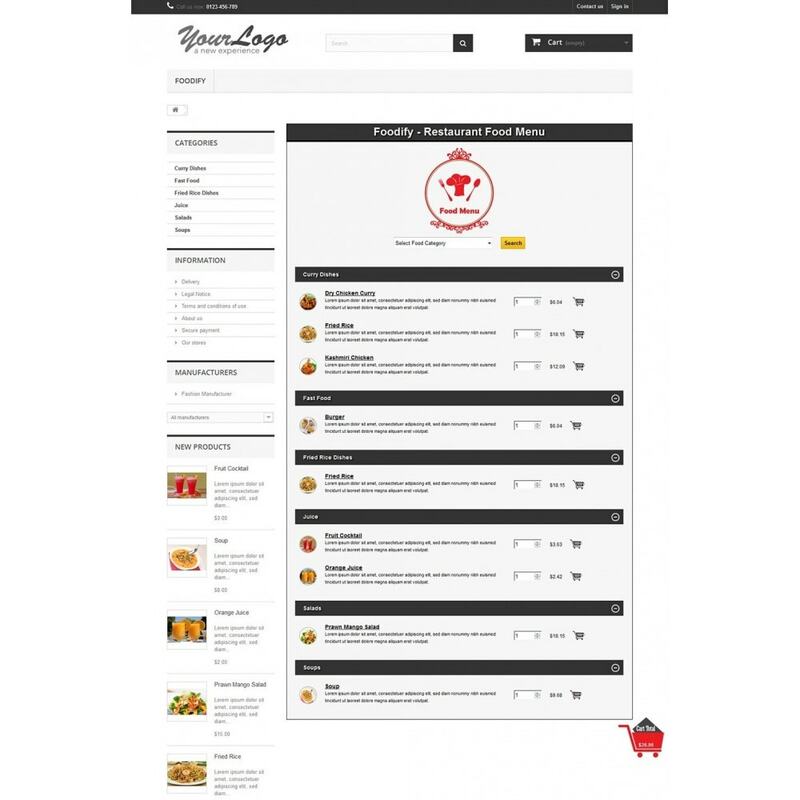 Customer can search the food item by category base. 2. 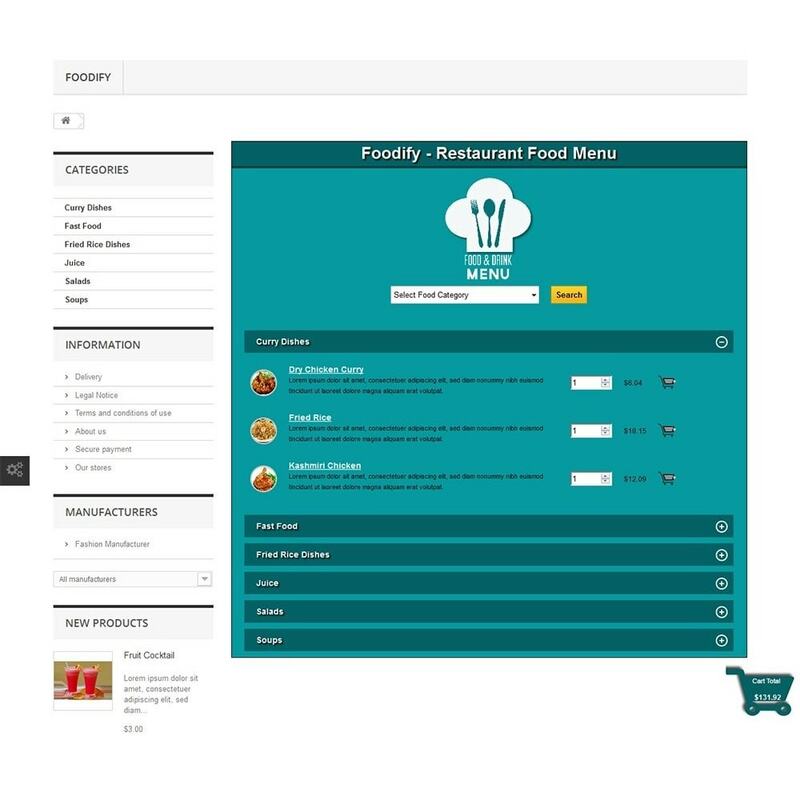 Upload the “foodify” folder to the sites “modules” directory. 3. 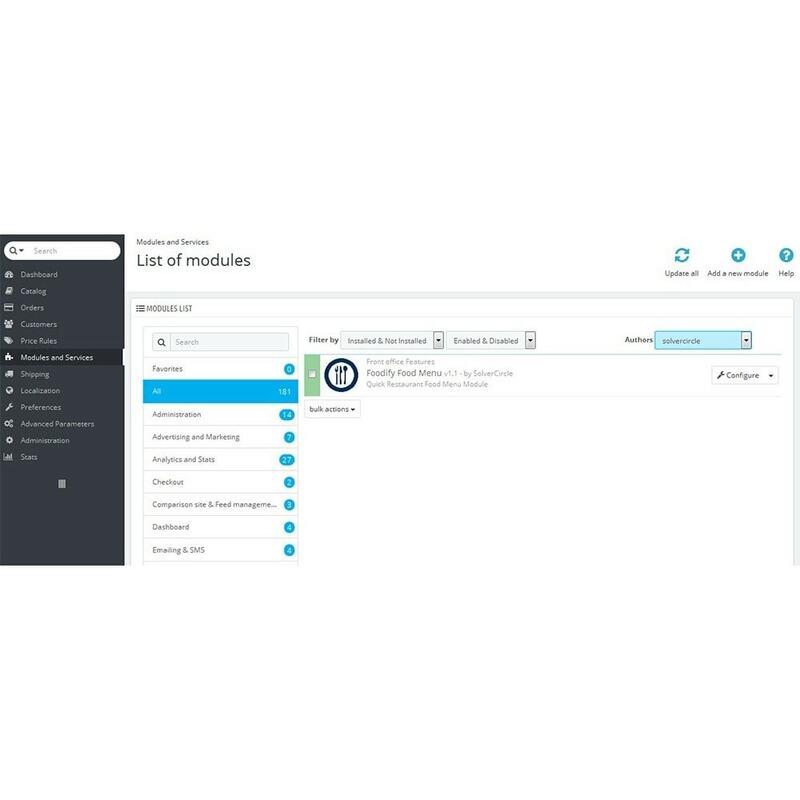 Now Install/Activate the module from “Modules and Services” menu of Admin. 4. 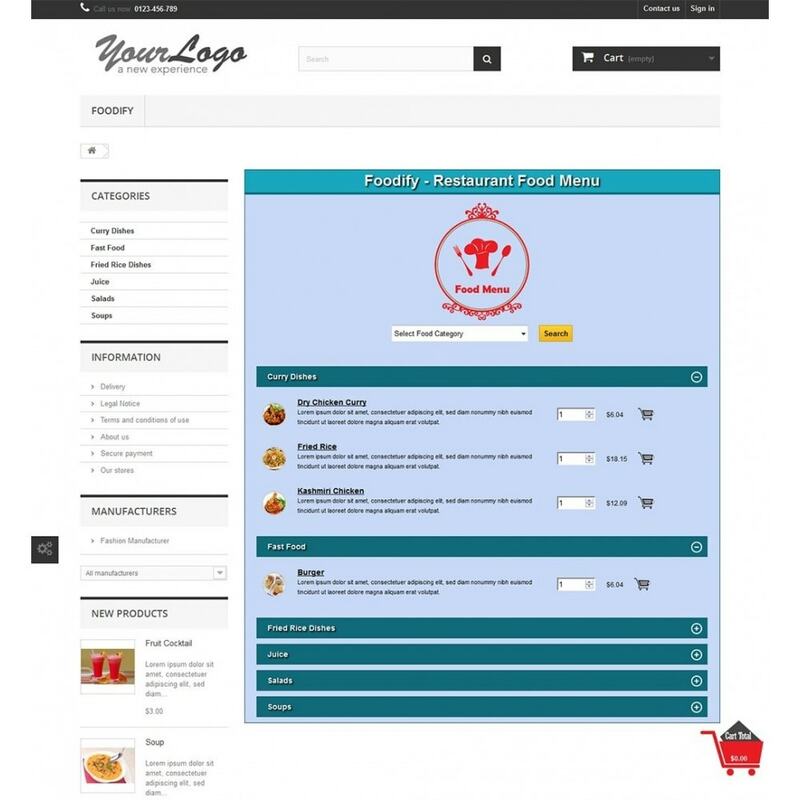 Click on the “Configure” link of “Foodify Food Menu” modules. You will find the Settings option of this module. Now customize your settings. 5. Now check it at frontend. 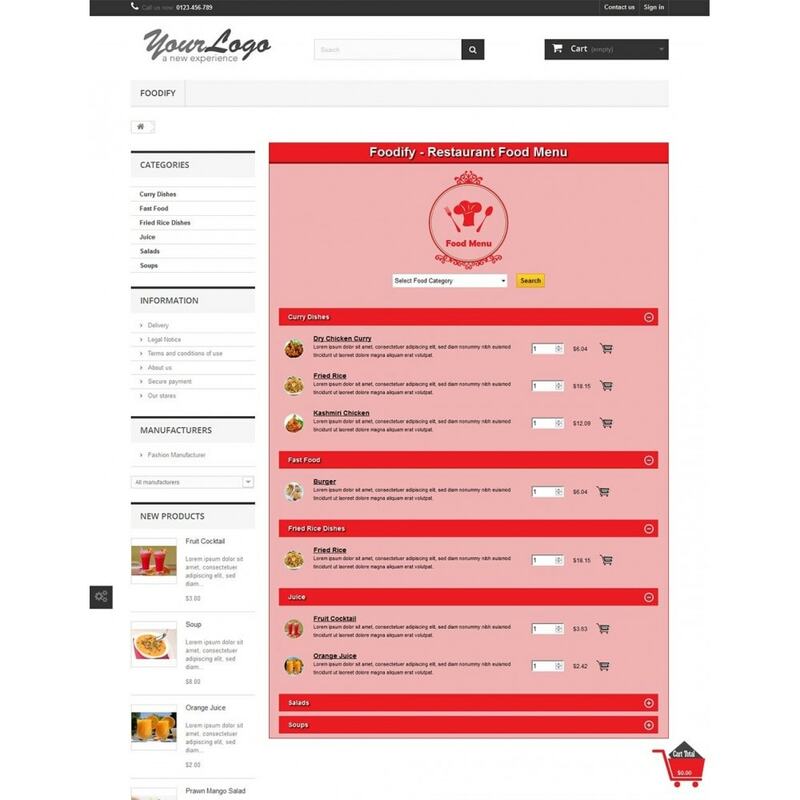 All food items will be show in one page “Foodify” menu link. (Go to front office and check your stores menu bar.